Stucco is a building material type which is composed of water, binder, and aggregate. It has been used in the construction of homes and buildings for so many years. It is applied on exteriors of the home but you can use it for both interior and exterior finishes. Before that, stucco gets formed by combining water, lime, and marble dust to form a smooth plaster that you can later paint, design, or shape. Stucco is known to be extremely water resistant, durable, and attractive as covering for the wall. It gets applied in about two layers directly on the surface of the stone, a solid or brick granite. Stucco application is a mixture of cement combining lime, sand, and water to create smooth plaster used for sliding. Wooden walls get covered with the mixture of stucco as the finish coating to give it a striking and solid appearance. Stucco gets applied wet and hardens to a solid form. Utilizing it in the home makes the home more durable and last for very many years. There are synthetic stucco types that people confuse with real stucco but the sure thing is that authentic stucco is heavier and more durable than other synthetic options. You can determine if your stucco is authentic or genuine by tapping a wall made of real stucco because it has sound that is solid. Authentic stucco is absorbent and when it is wet, it remains durable and solid. It easily dries up after absorbing moisture. You can curate diverse designs when you decide to use stucco on the exteriors of the house. In case you are not used to utilizing stucco, then you have to seek assistance from http://www.eifscaliforniastucco.com since they are professionals in this area. They can assist you ensure that you are getting all advantages and benefits that comes from stucco. With this stucco, you can end up building an attractive, durable, and strong home which can last for various generations. In case you are looking at effective means of increasing the strength of the building, why should you not consider stucco installation? The procedure of stucco application needs to be done in an effective manner to gain access to the benefits of stucco. The reason is that there are so many factors that need noting and implementation in the process of stucco application. Installation of stucco has been in use for long for enhancing the durability and strength of structures. The formula of stucco has been undergoing change over the years. There are so many additives today that can be utilized in the mixture to give a pristine effect and quality that is long-lasting after its application. This material is versatile for construction. You can apply it on many building structures to increase versatility. The reason for its wide use is because it provides so many benefits. Stucco is a material that is both fire resistant and waste resistant, meaning that it offers the required protection for the applied surface. You cannot degrade it due to mildew and mold, which helps give the building added protection from other elements of weather. Since the installation of stucco has to be done in the right manner, it is important to leave it to California professionals. Care need to be taken for the installation to come off correctly. While looking for its services of application, you need to make sure that you get professionals to do the job to realize the best results. Find out if they possess the license and see many samples so that you get an idea of diverse outputs you can get via application and this will be helpful in choosing something that you like. Going for experienced California stucco professional will make sure that you attain the best results possible. The mount spent in this application is worth it and stucco application results will last for long. There are a lot of benefits of using stucco for the exteriors of your business or home. This is the reason as to why it has been around for very many years. Stucco lasts forever and is very durable. It is both water and fire resistant. Because it does not hold water, it does not grow fungus, which makes its quality to improve the exteriors of your building. It will also retain its color for long. What all this adds up to is that it saves so much money. There is no need of maintaining it by eliminating rot or painting it continually through the year to keep it bright. Stucco is a preferred building material for most homes in the California, CA, area. However, locating a dependable service provider for your home is often difficult. 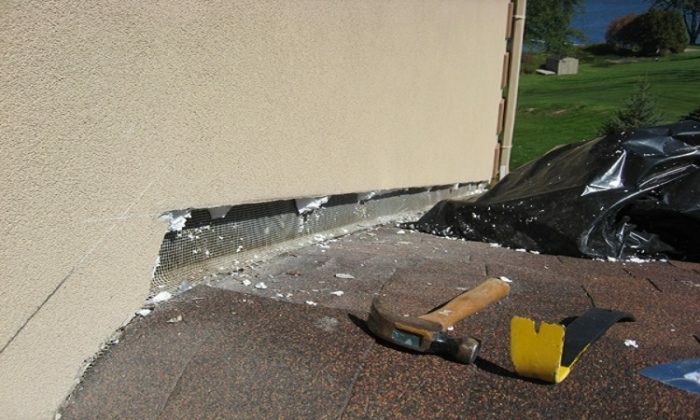 As a result, some homeowners attempt to apply their stucco themselves, only to make a mess out of the project. Instead, you need an affordable and experienced company assisting you. Stucco application is a process with multiple steps. Unfortunately, some contractors are only proficient in some and not others. EIFS Installation California provides the best in local stucco installation services. We ensure each step of your best stucco systems receive all the care that they need to look their best. When you choose us for your project, we ensure that all layers of your stucco wall receive only the best service possible. Whether you need plaster stucco, smooth stucco, texture stucco or spray stucco, call us today to experience the top quality possible at affordable pricing. Many homeowners think that stucco just gets rolled onto a wall as if it were paint. However, it takes creating a pocket of air between the building and the outside to make a protected surface. The stucco process occurs in several stages, each one equally important as the rest. By installing a series of boards, building materials, meshes, and plasters, we create an area that makes it difficult for moisture to penetrate. The lasting result is a home or office that remains dry, comfortable, and safe for longer without changing to expensive and dense building materials. Enjoy the peace of mind of professional application services, as well as knowing that your home will remain shielded from the outside elements.